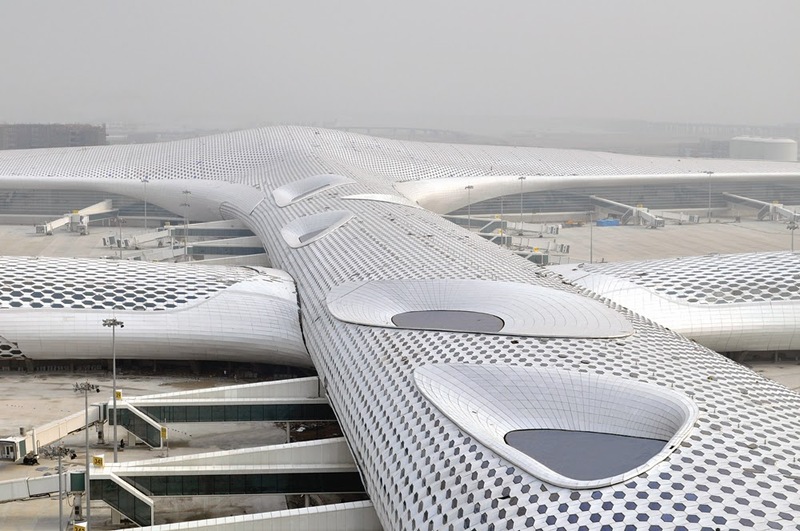 Gizmodo shows six airports that will be among the world's largest in the future. The first three are new airports, what we call "from greenfields." Abu Dhabi airport's Midfield Terminal. A new terminal, not a new airport, but it is planned to handle 20 to 40 million passengers per year. Incheon, Korea - not new. This is really a list of five, not six. 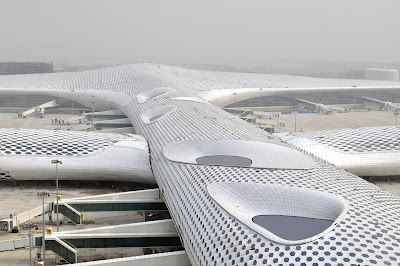 Photo: Bao'an Terminal 3. Click to enlarge.